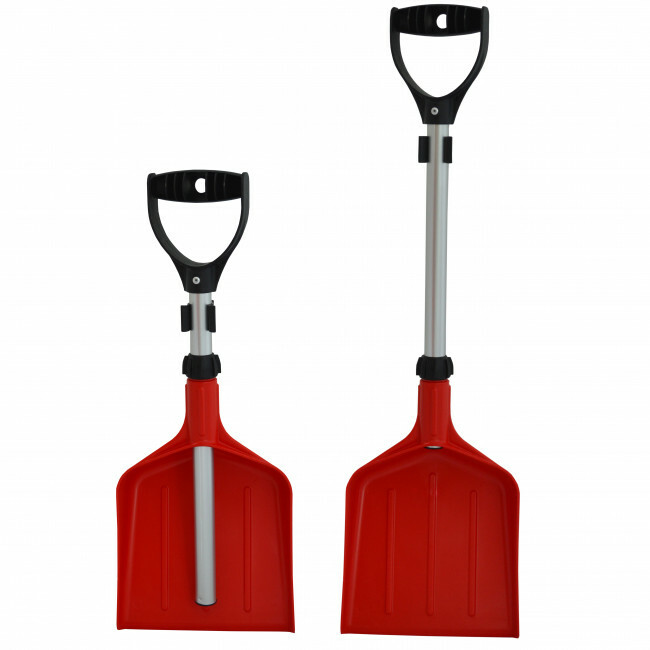 Ideal for storing in the boot of a car, outhouse or garden shed, the Telescopic Lightweight Snow Shovel is a space-saving yet practical shovel that can be used for a range of applications. Unlike fixed-length shovels, the telescopic handle folds away for easy storage when not in use, reducing the amount of storage space needed. Furthermore, the included attachment clip can be fixed to the lid of a grit bin, enabling the shovel to be stored inside.